Last month, we put together a valuation-based ranking of the top VC-backed companies in the US. 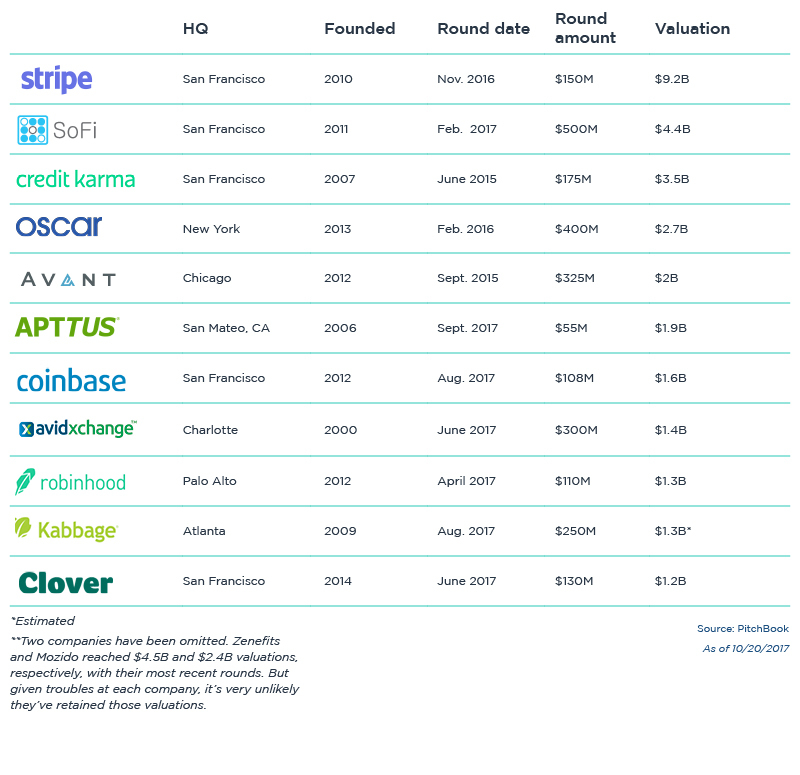 Noticing two of the top 14 companies—Stripe and SoFi—are in the fintech industry, we decided to take a closer look at the space. Since the beginning of 2015, US-based fintech startups have pulled in roughly $19 billion across more than 1,400 deals with VC participation, per the PitchBook Platform. The companies we've listed below are responsible for securing a good chunk of that capital.